Samaritans are the bystanders and passers-by who render the help to the victims of road accidents. 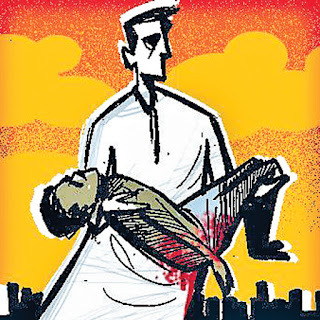 Every year thousands of people die in India due to road accidents. The Law Commission of India in its 201st report observes that 50% of those killed in road accidents could have been saved had timely assistance been rendered to them. The WHO in its ‘World Report on Road Traffic Injury Prevention, 2004’ has projected that by 2020, road accidents will be one of the biggest killers in India. It also emphasized that in low income countries, the most common desisting factor restraining the public from coming forward to help victims, is the apparent fear of being involved in police cases. Accident cases require fastest care and rescue which could be provided by those closest to the scene of the accident. Bystander’s clear support is essential to enhance the chances of survival of victim in the ‘Golden Hour’ i.e. the first hour of the injury. As per the WHO India Recommendations, 50% of the victims die in the first 15 minutes due to serious cardiovascular or nervous system injuries and the rest can be saved through by providing basic life support during the ‘Golden Hour’. It is usually seen that people are hesitant to render immediate help to the road accident victims. The victims lay wounded on the road for some time till the arrival of police. The delay in rendering medical help can be fatal. Good Samaritans have the fear of legal consequences, involvement in litigation and repeated visits to police station. There is urgent need to tackle these issues. The Supreme Court in the case of Savelife Foundation & Anr v. Union ofIndia & Anr approved the guidelines issued by the Centre for the protection of Good Samaritans. These guidelines will remain in force till there is an appropriate law. 1. The Good Samaritan will be treated respectfully and without any discrimination on the grounds of gender, religion, nationality and caste. 2. Any individual, except an eyewitness, who calls the police to inform them of an accidental injury or death need not reveal his or her personal details such as full name, address or phone number. 3. The police will not compel the Good Samaritan to disclose his or her name, identity, address and other such details in the police record form or log register. 4. The police will not force any Good Samaritan to become a witness in the matter. The option of becoming a witness in the matter shall solely rest with the Good Samaritan. 5. The police will allow the Good Samaritan to leave after having provided the information available to him or her, and no further questions will be asked of him or her if he or she does not desire to be a witness. 1. If a Good Samaritan chooses to be a witness, he or she will be examined with utmost care and respect and without any discrimination on the grounds of gender, religion, nationality, caste or any other grounds. 2. The examination will be conducted at a time and place of the Good Samaritan’s convenience and the investigation officer will be dressed in plain clothes. 3. If the Good Samaritan is required by the investigation officer to visit the police station, the reasons for the requirement shall be recorded by the officer in writing. 4. 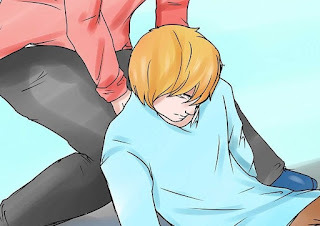 In case the Good Samaritan speaks a language other than the language of the Investigating Officer or the local language of the respective jurisdiction, the Investigating Officer shall arrange for an interpreter. 5. In a police station, the Good Samaritan will be examined in a single examination in a reasonable and time-bound manner, without causing any undue delay. 6. If a Good Samaritan declares himself to be an eyewitness, he or she will be allowed to give his or her evidence in the form of an affidavit. 7. In case the attendance of the Good Samaritan cannot be procured without delay, expense or inconvenience which, under the circumstances of the case, would be unreasonable, or his examination is unable to take place at a time and place of his convenience, the Court of Magistrate may appoint a commission for the examination of the Good Samaritan in accordance with section 284 of the Code of Criminal Procedure, 1973 on an application by the concerned. These will offer legal protection to people who give reasonable assistance to those who are injured in the road accidents. The protection is intended to reduce bystanders' hesitation to assist, for fear of being sued or prosecuted for unintentional injury or wrongful death. A good deed without hesitation can save a precious life of someone. Latest Notification For Govt Jobs 2018-19 in India here. Detailed Notification about Banks, SSC, UPSC, TNPSC, RPSC, PSU and All Other Govt Exams Available.